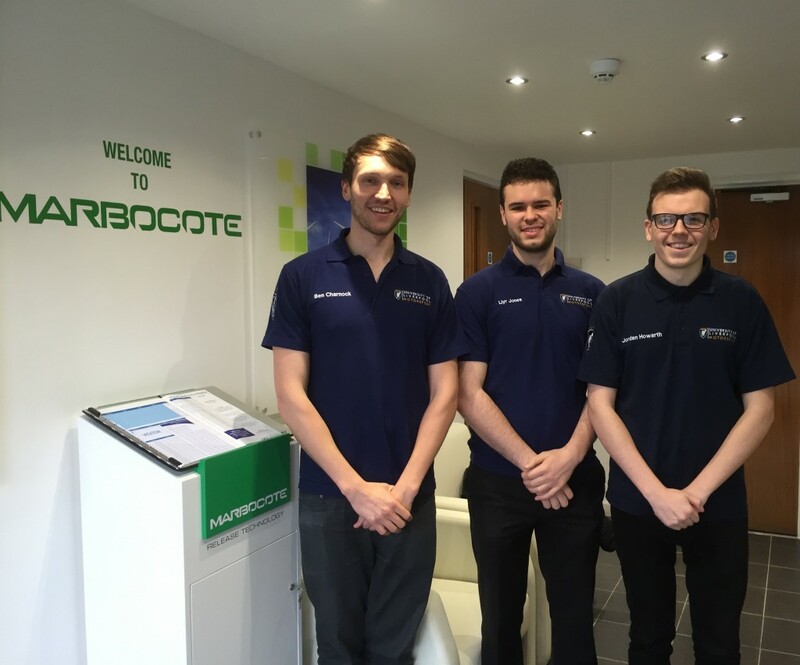 Marbocote are continuing to sponsor the University of Liverpool Motorsport in 2017 by providing Marbocote HP2002, HP7 and Cleaner. Ben, Llyr and Jordan came to visit us on Friday 3rd March so that we could meet them and show them some of things that we do here. More information on the work that they are doing with our products can be found on the ULM Website.